The Slender Rasbora Rasbora daniconius is just as attractive as its flashier cousins even if it isn't as colorful. In the wild, this is a good-sized cyprinid, usually reaching just shy of 6 inches (15 cm) in length. Some reports even say an occasional individual can reach almost 8 inches (20 cm)! In captivity, it doesn't reach either of those sizes. An aquarium specimen will usually only reach a length of about 3 1/2 inches (8 - 9 cm). To delightfully liven up the middle of an aquarium display, add a school of these subtle beauties. They have a silver body with olive undertones, but the scales are large and highly reflective, giving a sparkling effect. The belly of the males will be yellow or reddish while the female's will be whiter. However, their most prominent feature is a blue-black line outlined in bright gold that runs the length of the body. This feature has inspired several rather descriptive names, including Striped Rasbora, Black Line Rasbora, Gold Line Rasbora, and Golden Striped Rasbora. In the wild, they may be found swimming rivers in schools with hundreds of individuals, so in the aquarium, a school is a must. The companionship of their own species is absolutely essential to their well-being. Never keep fewer than 6 to 10 individuals, with more being even better. If this fish is kept singly, it will waste away. These fish do fine in community tanks but will suffer in the company of aggressive fish, so keep them with fish of similar size and temperament. These fish are a good choice for beginning aquarists who want a tank of peaceful, schooling fish. The Slender Rasbora is robust and will readily accept aquarium foods. However, this cyprinid requires good quality water and a well-maintained aquarium. Fluctuations in water quality leave this fish weak and prone to disease. They really look beautiful in a tank that simulates their natural habitat with plants, rocks, wood, and substrate. An aquarium best suited to this fish would be large and roomy with a fine gravel bottom and dense plantings along the edges. A school of these fish can be kept in a 20-gallon aquarium, but a larger tank is better for these lively fish and easier to maintain. They can jump with surprising gusto, so keep the aquarium tightly covered. The Slender Rasbora Rasbora daniconius was described by Hamilton in 1822. They are found in South East Asia in the Mekong, Chao Phraya, and Salween basins and the northern Malay Peninsula, and to the west in the Indus River of Pakistan and south in Sri Lanka. It has also been found in Borneo and Sumatra. This species is listed on the IUCN Red List as Least Concern (LC). It has a wide distribution, is adaptable to a variety of habitats, and lacks any known major widespread threats. Other common names it is known by include Striped Rasbora, Black Line Rasbora, Gold Line Rasbora, Blackline Rasbora, Common Rasbora, Golden Striped Rasbora, Slender Barb, and Striped Barb. This fish is very similar in appearance to its close cousin Rasbora labiosa, which is also called a Slender rasbora. The R. labiosa was once considered to be a subspecies of R. daniconius but is now recognized as a distinct species. In earlier times, R. labiosa probably became more readily available to the trade as it was first cultivated in captivity in 1935. Though these two resemble each other closely, R. labiosa is actually only about half the size of R. daniconius. Its total length is about 3 3/4 inches (8.5 cm). There are some other distinctions, too. The R. labiosa is much more slender, almost cylindrical in shape, and the lateral line is reduced. It also has smaller fins and fat, fleshy lips. These fish inhabit all sorts of waterways from ditches, canals, brooks, and streams to medium and large rivers as well as ponds and flooded fields. They are also found in brackish waters. However, they are primarily found in sandy streams and rivers with slow-moving, muddy waters where they tend to form large schools and feed on small aquatic insects and detritus. The Slender rasbora is a slim fish, as the common name implies. It can reach a total length of just under 6 inches (15 cm) in length, with some reported at close to 8 inches (20 cm), but in the aquarium, it will commonly reach about 3 1/2 inches (8 - 9 cm) in length. They have a typical lifespan of 5 to 8 years with good care. The general body color is silver with olive undertones. The belly will be whiter on males and yellow or reddish on females. These fish have a striking blue-black line finely outlined in gold that runs the whole body length, right through the tail. Scales are large and highly reflective, and fins are small and yellow. Size of fish - inches: 5.9 inches (15.01 cm) - It can reach up to 6" (14 cm) in the wild but usually only reaches 3.5 inches (9 cm) in the home aquarium. An occasional specimen has also been reported at up to almost 8" (20) in the wild. Lifespan: 5 years - They have an average lifespan of about 5 to 8 years years with proper care. This fish is a great choice for the beginning aquarist as it is robust and fairly hardy, but it must be kept in a school. With well filtered water and regular maintenance, these fish will do very well. They are usually not very picky eaters and will accept and thrive on quality flake foods, with the addition of occasional live foods. The Slender Rasboras are omnivores. In the wild, they feed on small aquatic insects and detritus. In the aquarium, their diet should be based around a quality flake or pellet food. A good balance of prepared and live foods is required for optimal health. Daphnia, brine shrimp, and bloodworms all make excellent choices for live foods. Some green foods like lettuce are good, too. Dip a washed lettuce leaf in boiling water to soften it. Take care to remove the uneaten lettuce from the tank within a few hours. These fish will do best when offered food several times a day, but only offer what they can eat in 3 minutes or less at each feeding. If you feed only once per day, provide what they can eat in about 5 minutes. The Slender Rasbora is a schooling species that spends much of its time in the middle regions of the aquarium. They are very active swimmers, so they tend to do better in larger and longer aquariums where they can school. A school of 6 to 10 needs to be kept in a tank of 20 gallons or more. This rasbora is fairly hardy and will adapt to most aquarium conditions. The key to making this fish extra beautiful is making it feel at home. Setting up a habitat that resembles their natural environment is the best way to do this. Their natural habitat provides a lot of direct sunlight, so place the aquarium where it will get natural sunlight. If this isn't possible, get a high quality light that will simulate this. They prefer medium-hard, slightly acidic water conditions. These fish will also appreciate a reasonable water current, so use a good filter to create this effect. Keep the tank carefully covered as these fish are liable to jump if startled or excited. Provide a sandy or fine gravel substrate with a few smooth rocks and pebbles. The tank must be densely planted with a good variety of plants to make them feel safe as well bring out their colors. These extremely active swimmers need open space to swim unobstructed. Have plantings reaching the surface of the aquarium around the sides and back with a few broad-leaved plants for shelter. With the right water chemistry for this fish, many aquatic plant species can flourish. Bogwood is also a great addition because it will release tannins and help get the water to the swampy and acidic conditions favored by this species. Aquarists who really want the natural feel could add some aquarium-sealed dried bamboo to simulate the reeds that grow along the shoreline of their natural habitat. Minimum Tank Size: 20 gal (76 L) - A school will do best in a large, long aquarium. Breeding Temperature: 80.0° F - Breeding temperatures need to be slightly higher than normal aquarium temperatures. Water Region: Middle - The Slender Rasbora is a mid-water fish. These fish require a sizeable school of at least 6 to 10 individuals to display healthy coloration and behavior. They will have a pecking order but will never really cause harm to each other. The males will display their best colors as they compete for the attention of females. These fish are peaceful but quite active. Although they occasionally quarrel, they are generally good natured and should be mixed with fish of similar temperament. Good tankmates include many popular community fish. Cyprinids are especially good as well as some of the larger characins and live bearers like mollies, plates, and swordtail fish. 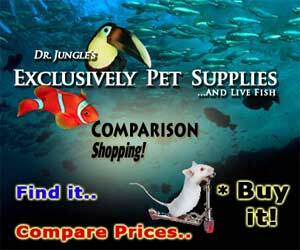 They also do well with bottom-dwelling, peaceful catfish and loaches, and even some of the dwarf cichlids. Temperament: Peaceful - This fish will occasionally quarrel with tankmates but without damage. Same species - conspecifics: Yes - This fish needs to be kept in a school of at least 6 to 10 individuals. The females are slightly plumper, stronger, and deeper bodied, and have a whitish belly. Males are more slender and smaller, with a yellowish or reddish belly. Slender Rasboras are relatively easy to breed with either pairs or in schools. Like other cyprinids, they exhibit no parental care for the young, but they differ slightly in their spawning method. Rather than being open water egg scatterers, their eggs are shed among the leaves of plants. Condition them with small offerings of live foods several times a day, usually for about 4 weeks. Conditioning well with live foods will also bring out the males' color. When well fed, mature females should begin filling out with eggs. A large tank (20+gallons) is required for spawning as part of the courtship is a very intense chase. The water should be medium hard at about 12° dGH. From their normal water conditions, slightly drop the pH (to slightly acidic at about 7.0 pH) and slightly increase the temperatures. Filtration isn't really necessary, but you can add a small, air-powered sponge filter or some peat filtration. A pair will spawn on fine-leaved plants, so be sure to include Hornwort, Cabomba, Milfoil, or a similar species in the breeding tank. Java moss or Crystalwort (Riccia) also work if anchored down. Courtship consists of displays and chasing by the male, with the female hiding among the plants until she is ready to spawn. Spawning will usually occur in the morning hours. They assume a side-by-side position with the male attempting to curl around the female. Eggs will then be shed among the plant leaves, and the female will find another hiding area for the next spawn. After the spawn, remove the parents as they will eat the eggs. The fry will hatch in 3 to 4 days. The young are fairly large and become free-swimming in about 3 more days. Provide starter foods like infusoria for the first few days. The fry grow quickly and will soon be large enough to eat baby brine shrimp. See Fish Food for Fry for information about types of foods for raising the young. Slender Rasboras are very hardy, and disease is not usually a problem in a well-maintained aquarium. Some diseases that are common in rasboras are dropsy, fin rot, and Ich if good water quality, nutrition, and maintenance is not provided. With any additions to a tank, such as new fish, plants, substrates, and decorations, there is a risk of introducing disease. Properly clean or quarantine anything that you want add to an established tank so as not to upset the balance. The Slender Rasbora is difficult to find, but specialized fish stores may carry them. They are also sometimes available online and relatively inexpensive. I got 2 juveniles in my 20 gallon tank along with some cherry barbs. All of them were wild caught. Since cherries are endangered in wild in Sri Lanka I started a project to bread them n release back to wild. So when I caught my parent stock, these two slender rasbora juveniles ended up in my tank. They look very similar to cherries when young. But within 3 months they outgrow the cherries. Having these two in my breeding tank definitely does not help my project cz they eat eggs n fry. Yet I don't feel like releasing them back to wild because of their beauty. Considering to move them to one of my ponds with some more mates. I have 32 of these fish in my community tank and they are my cheapest and most favorite fish I have. They keep my tank from being boring, they all group together and swim from side to side of my 100 gallon aquairum. They really are a beautiful sight to see... I have a blue light bulb and a white bulb on my tank and wow their colors really pop out! The gold stripe looks fluorescent and they are so happy. Mine never hide they are not shy at all... I have them in with large veil angels, mollies, platies, all types of tetras, clown loaches, cory cats, rainbows, dwarf gouramis, bumblebee catfish, green & pink kissers, chinese algea eaters, plecos, cuckoo squeaker catfish & a red and blue crawfish...I LOVE MY TANK!!!! I have a school of 9, bought separately 7+1+1. Interestingly enough, 7 keep together most of the time, whereas two (I suspect the two bought separately) tend to keep alone or with one another, but rarely join the 7. These fishes are very shy compared to barbs and like to hide in upper levels of vegetation at any sign of outside movement. I have 6 in my 30g-Long tank. It's planted with Amazon swords. They coexist with a beautiful blue betta and a snail. I agree that they are easy to care for. I'd like to pick up some more if I can find them. I stumbled upon these about three years ago. None have died at this point. They seem to be very vigorous fish.